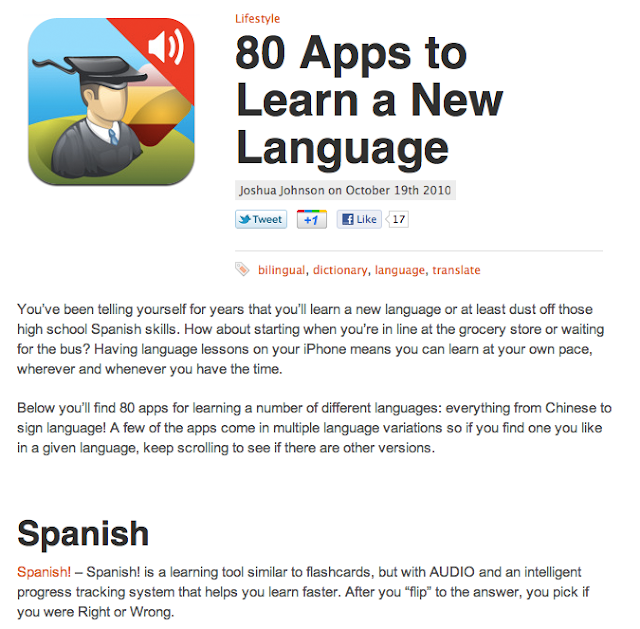 Below you’ll find 80 apps for learning a number of different languages: everything from Chinese to sign language! A few of the apps come in multiple language variations so if you find one you like in a given language, keep scrolling to see if there are other versions. This is a fabulous article written by Joshua Johnson over at AppStorm. Make sure you check out the rest of their site. any app available for translation of dutch to english ? This article posted in this blog seems to be really excellent to make a look into it. Keep updating more and more.